Already some time now ecodesign is in our lives. Or better said the lighting industry has to comply with eco design requirements. Indeed there are several different implementing measures available. The name of the directive was EuP directive, standing for Energy Using Products. The recast of the directive is called the ErP, or Energy Related Products. This one has the number 2009/125/EC. This directive also has an amendment. Applicable mainly to fluorescent lighting and to other gas discharge lighting. These implementing measures contain the technical requirements were light sources and luminaires need to comply with. The last one, DIM II is still very recent and a lot of discussion is going on on how exactly to read it. The other directive that is related to this directive is the labelling directive. The number of this one is 2010/30/EC. This directive is also has specific implementing measures that describe the requirements for specific groups of products. For lighting this is 874/2012. In this measure you will find the requirements related to the labelling of light sources and luminaires. Not every lighting product needs to comply with these directives. There are exceptions and sometimes these are not logical. Also DIM II has been used to correct things for DIM I and even though a implementing measure seems not applicable it still might be. So careful checking is needed. 1. Check if your product is in scope. 2. 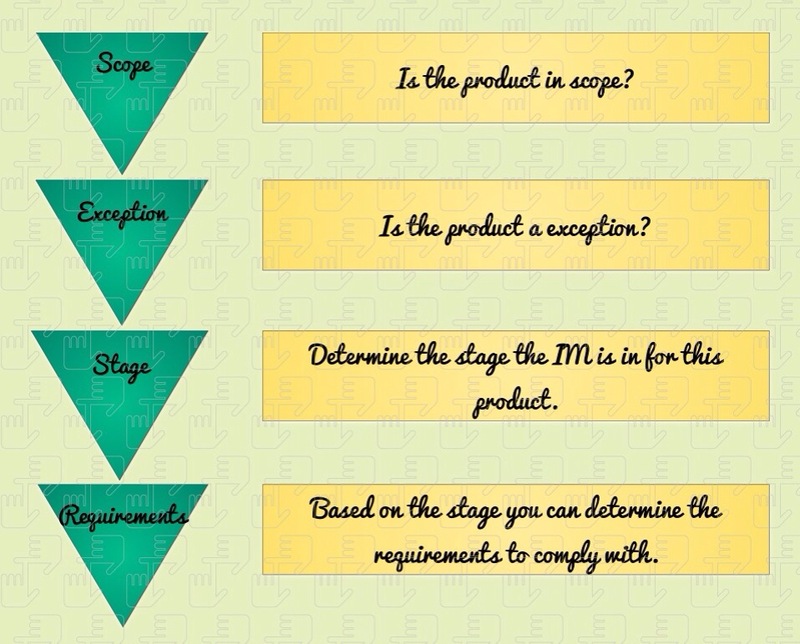 Check if your product is an exception. 3. Check the stage where the IM is in. 4. Determine the actual requirements you need to comply with. We already discussed scope and exceptions but there is more. Every IM has certain stages, every stage of the IM will give you new or updated requirements to comply with. Sometimes certain products will no longer be possible to use f.e. the incandescent lamps that basically have been banned from the market. In coming blogs on ErP I will discuss examples of products and what the requirements will be. ← Zhaga, Part 2 Luminaire manufactures.